A multi-billion dollar project between China and Pakistan, CPEC, aims to connect western China to the Indian Ocean via Pakistan, cutting through Gilgit Baltistan. Occupied by Pakistan, the region does not have any political representation in Islamabad. The writer Junaid Qureshi raised concern about the legal aspects of the project, as well as the prospects for the people of the region. The multi-billion dollar China-Pakistan Economic Corridor (CPEC) is being touted as nothing more than a 'black hole' as far as people of Gilgit Baltistan are concerned. Junaid Qureshi, a Kashmiri writer raises voice against the CPEC project, which passes through Gilgit Baltistan, a disputed territory controlled by Pakistan. The multi-billion dollar China-Pakistan Economic Corridor (CPEC) is being touted as nothing more than a 'black hole' as far as people of Gilgit Baltistan are concerned. Junaid Qureshi, a Kashmiri writer raises voice against the CPEC project, which passes through Gilgit Baltistan, a disputed territory controlled by Pakistan. 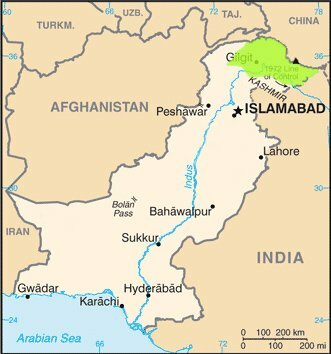 Gilgit Baltistan is a disputed territory occupied by Pakistan. The people of the region have protested against the China Pakistan Economic Corridor, calling it illegal. Over the years the region has witnessed blatant exploitation of its natural resources and minerals. Whether it is the construction of dams to produce electricity, or mining, no development project has benefitted the locals. People in Gilgit Baltistan have been waiting for years for a better administration that could work for the development of the region. But their disappointment has grown into anger as the administration shows no political will to improve the present situation. Gilgit Baltistan does not have any representation in parliament and is not part of Pakistan constitutionally. Hence, the locals do not have any say in the CPEC project. Moreover, there is no mechanism in place to safeguard the rights of the locals.